A few days back I got a forward in a family WhatsApp group saying how to manage your phone usage with a 30-60-90 minutes’ rule (or something like that) where it says that you should avoid using your phone 90 minutes before going to bed! But well, we all know that is exactly the opposite. We specifically use our smartphones once we get into the bed and once we open Instagram or Twitter, there’s an unending cycle of scrolling until the phone falls off our hand! The black hole that we can’t escape! Even though we try hard. I tried putting reminders, switching off the phone altogether, and so on, but the scrolling didn’t stop. So recently I got the latest iOS updates, which along with a few interesting features includes – Screen Time. What exactly is the Screen Time feature? Screen Time in iOS 12 tool logs app usage, and presents it all in one easy to use chart. The phone will log whether people are spending all their time on social media, for instance. And it also measures other data like how many notifications arrive and how often owners pick up their phones. And guess what? It presents all your phone shenanigans in a nicely designed graph! So once you activate Screen Time feature, there are two important functions – App Limit and Downtime. With App Limit, you can choose a period for which you want to use the particular app. E.g. You can limit the use of Instagram to 2 hours a day and so on. With Downtime, you can set a period during which you don’t want to use your iPhone. During this period, you will be able to access only the apps you have exempted from the restriction. The stats for the active screen time are collected from all the iOS devices that are running with your iCloud account. All the data is aggregated from the iPhones and iPads that are used throughout the day. If you are using multiple devices, you can check data (screen time) for each device. You just need to tap on ‘All Devices’ tab on the main screen of Screen Time feature and then choose ‘Devices’ from the top right hand corner. It will give you the list of devices that you use. 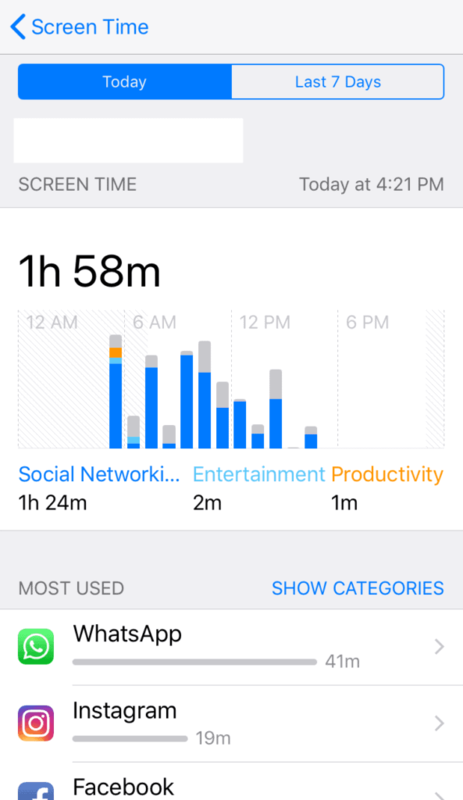 When you click on Screen Time, it shows a chart with information about the last 24 hours of your phone usage. It is organized by an app or app category that you’ve used the most – social media, messages, games, productivity, etc. When you tap on the chart, a detailed information is presented – either from the last seven days or past 24 hours. These details include – the number of times you’ve picked up your iPhone, the longest usage setting, how many notifications you got, and which apps are sending you the most notifications. If you have opted for the Family Sharing feature with your partner, friend, children and if you are the family manager, you will be able to see each family member’s name listed under the Family section and you will also be able to see and control their app use. Yay, finally off the phone! A research says that on an average the common Indian smartphone owners use messaging apps for more than 35 minutes daily. Out of them 48% users are active on more than one messaging app! Messaging, video streaming, social media, music, and web browsers are the top 5 commonly used features in a smartphone. The report highlights the presence of multiple apps for a similar activity. Users love to have options and that is exactly what they are getting in their smartphones. And the most important thing – In India, the mobile ad consumption and the in-app ad consumption is the highest during the night. 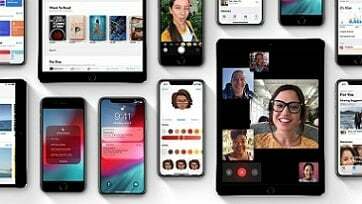 Apple has claimed that its app economy has created more than 740,000 jobs in India. However, with the screen time feature, digital marketers have a lot of (smart) work involved on the user end. For example, if most of the iPhone users decide to switch off their app usage post 9, then they’ll have to study the app usage in the revised pattern post this update. Digital media ad spends has increased by 30% – around 12,046 Crores as compared to the last year. Facebook is the second most popular site in the world with an average time per visit of whooping 13:41 mins. Brands mostly post on Facebook during the first half, however, the highest user engagement is between 6-9 PM. So if the downtime starts at 8, Facebook would be losing out on a lot of engagement. 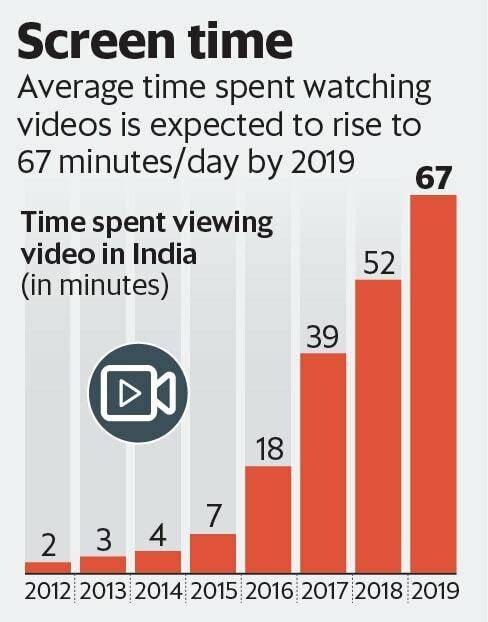 India’s online video ad spend grew from $7 million in 2012 to $286 million in 2018, while its mobile video ad spends grew from $3 million in 2012 to $161 million in 2018. Zomato, for instance is used extensively post 6:30 during weekdays. It is generally accessed late night for deliveries too. However, the app limit and downtime would affect this too. Instagram has the most active audience post 9. But if majority of the iOS users start their downtime at 9, a lot of ads would go unnoticed. The facts above illustrate the magnitude of digital media growth in India. Video ads are getting popular day by day. It’s the second fastest growing ad format with a 28% year-on-year growth. 1,387 Crores in 2016 to 1, 779 crores in 2017. That is why, the brands and the marketers would need to study the timings very carefully. Once the research shows the timings of the usage, the in-app ads would need to be broadcasted in accordingly. Since the time changes, the communication and message would also need to be redesigned. With the very less screen – time, the advertisers need to clever with their message and the CTA. When people are using their smartphone at night, they generally have some spare time on hand, on the other hand, when it is during day time, they use it just for chores. So the marketers have to catch the users’ attention in an even lesser time span! The reports are saying that the digital advertising spending will grow 30 per cent in India in the coming year, and it would be interesting to see how the brands will cope with updates like these that are made to use smartphones more responsibly. Questions / comments on this story? Write to us at collabs@theimpulsedigital.com or connect to us on Facebook / Twitter / or Instagram.